You are currently browsing the The Accidental Hawaiian Crooner blog archives for October, 2015. My ‘eke (bag) filled with an ipu heke, pūʻili, a shell lei and my ʻukulele. Last week I had the great privilege of teaching/sharing Hawaiian music and culture at a public elementary school out in Howard Beach, New York. My friends lovingly refer to it as the “far out school.” But not in a Greg Brady or John Denver kind of “far out” way. See, this school is about a two hour commute from my apartment. To get there, I’ve got to take the subway for about an hour and then walk approximately 1.5 miles to get to the school through neighborhoods and over footbridge that crosses a busy highway. In previous years, I’ve visited this school in the scorching heat and humidity of early summer as well as the freezing cold of deep winter with icicles hanging from my nose. When they ask if I can come and do a residency, the answer is always a resounding YES. Did I mention that at this school I work with the kindergarten classes? Yup. All of ‘em. That means I’m sharing Hawaiian music and culture with about 110 students, all of ‘em about five years old. It’s like doing four back-to-back high energy shows every day. (It reminds me of college-age summers when I performed at a theme park.) It’s wild. It’s exhausting. And it’s one of the most soul-fulfilling experiences of my life. 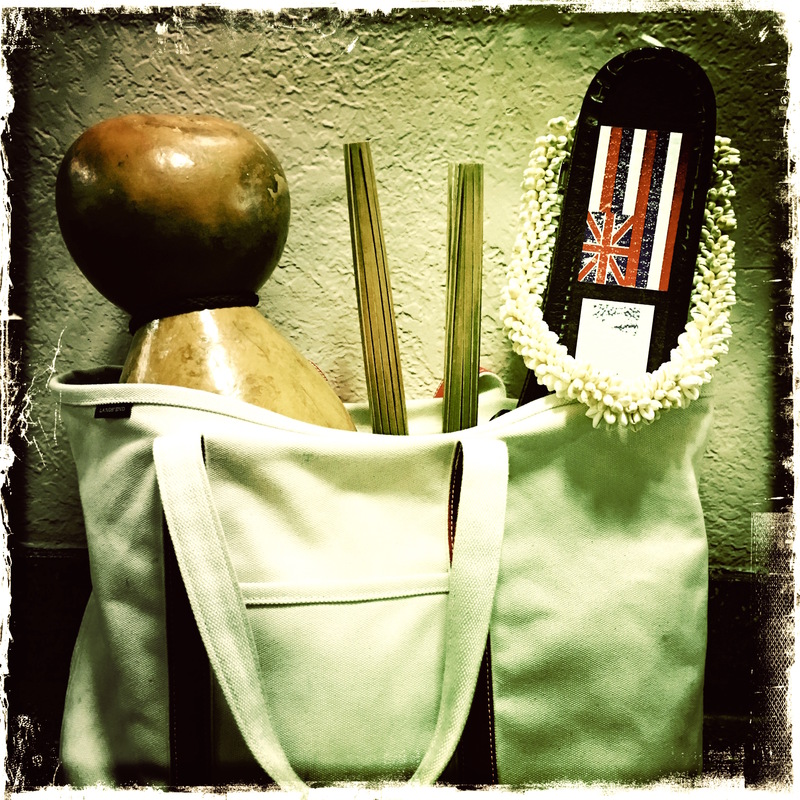 For a lot of them, I am giving them their first taste of the islands and traditional Hawaiian culture. (But you know, no worries. No pressure or anything!) I have the privilege/honor/kuleana of introducing them to Hawai’i. I bring my ‘ukulele. I bring maps. I bring lots and lots of photos. I share lots and lots of stories. One of the perks of being an “outsider who became an insider” of Hawai’i and her culture is that I’ve done everything–and I mean everything–wrong at some point. I’ve stumbled and stammered and put my foot in my mouth more times than I care to disclose. So when I tell them about Hawai’i, I share it from the perspective of a fellow newbie/neophyte. We laugh a lot. I try to make them feel like we’re all learning together. I really struggled with the song at first, wanting to make it perfect, wanting to write something profound. But it came down to this: I needed to create something simple and relatable for these kids. I wanted to share 2 things: Hōkūleʻa is sailing around the world. She’s carrying a message of Mālama Honua, taking care of the earth. Once I got my ego out of the way (Imagine standing in front of the Hōkūleʻa crew with throngs of students all singing the song and doing the simple hula!) the song basically wrote itself. A simple song. A simple hula. And an opportunity to discuss how we all have the responsibility to mālama honua. All week long, we sang and danced ourselves silly. We laughed at stories of the goofy things that Uncle Jason has done in Hawaiʻi, about being afraid of lizards in the house, about getting a bellyache from eating too much inamona. I told them about Hālawa Valley and its lifestyle that is so much like the traditonal lifestyle of Hawaiʻi long ago. We talked about how Mom and Pops Solatorio adopted me into their family, how I look different from all of their children, how ʻohana is family based on feeling instead of bloodline. I gave them a very basic introduction to the Hawaiian language. And these kids! Ah! I’ll tell you, they’re so wonderful they can make your knees buckle with their smiles and enthusiasm. Come on! Does it get any better than that? On Friday, all four of the classes gathered in the school’s auditorium for our big “show.” My friend, Kaina, came to dance hula for them. And they were so excited to share the songs and keiki hulas they’d learned with her! Imagine a school’s auditorium, nearly-filled to capacity with kindergarten students (and some fifth graders who’d recently done a report on Hawai’i), all singing and dancing. Incredible. It brings tears to my eyes just thinking about it. You know, I freaked out a little bit when Pops gave me the title of Kumu Hawaii a few years ago, when he said, “Now it’s YOUR turn to be a teacher.” I asked him what I was supposed to do with that heavy responsibility. I hadn’t grown up in Hawai’i. I didn’t think anyone would want to learn from someone like me. But that’s where I was wrong. I was hung up on my skin color, my background, the fact that I’m not Hawaiian. He had trained me and tested me. He trusted me. I needed to trust myself. And I remind myself of that every time I do a new residency, every time I have the opportunity to share what’s been so graciously and lovingly shared with me. And if that’s all that they remember, then I’ve done my job. You’ve seen it, right? The trailer for the soon-to-be-released documentary SONS OF HALAWA? As of this writing, the trailer has been viewed on Facebook over 54,000 times! And it’s been shared almost 2,400 times! This amazing documentary will be making its WORLD PREMIER at the Honolulu International Film Festival next month on O’ahu! I wanted to make sure you guys knew about this. But you already did, right? Because this “little film from Molokai” is already making a lot of beautiful noise. How many times have YOU viewed the trailer? Drop me a line and let me know! **A giant CONGRATULATIONS to my hānai Molokai brother, filmmaker Matt Yamashita and Quazifilms! AND… Sons of Halawa will be shown as part of a double-feature along with another fantastic Quazifilms production, The Roots of ʻUlu!